Safety, Quality, Care | JOLLY JACKS JUMPING CASTLES! 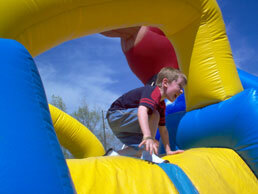 Jumping castles are lots of fun for children and are made to be a safe and comfortable environment. However, it is always best to take proper care when hiring jumping castles for children and always follow proper instructions of use, responsible use, and supervised use. The same holds true for all Jolly Jack’s party hire supplies, such as its pop corn & fairy floss machines, which should always only be operated by an adult and as per instructions provided. Although having fun is a top priority, safety and care should never be compromised. Jolly Jacks Jumping Castle’s experienced team will always provide full guidance and instructions when hiring any party supplies in Melbourne and Victoria. Our experienced team will ensure the right space has been chosen/allocated for both the jumping castle and pop corn/fairy floss machine, and of course that everything has been set up properly and as per required standards. This includes free prior inspection and consultation if required, i.e. if you’re unsure a Jumping Castle will fit in your designated space. We’re always happy to come out and measure, as well as discuss your options. As is always the case when children are concerned, adult supervision is essential. Especially when involved with dynamic hyper-active activities such as jumping or using appliances such as a pop corn & fairy floss machine! Jumping Castles are made to be fun for children, and indeed built in a way to be very safe and comfortable. Our jumping castles are always fully tested, maintained, as well as fully licensed & meet Australian safety regulations & standards. However, an adult should always be on close standby and making sure children are doing the right thing. This is especially important when a variety of ages are involved in such a confined space.